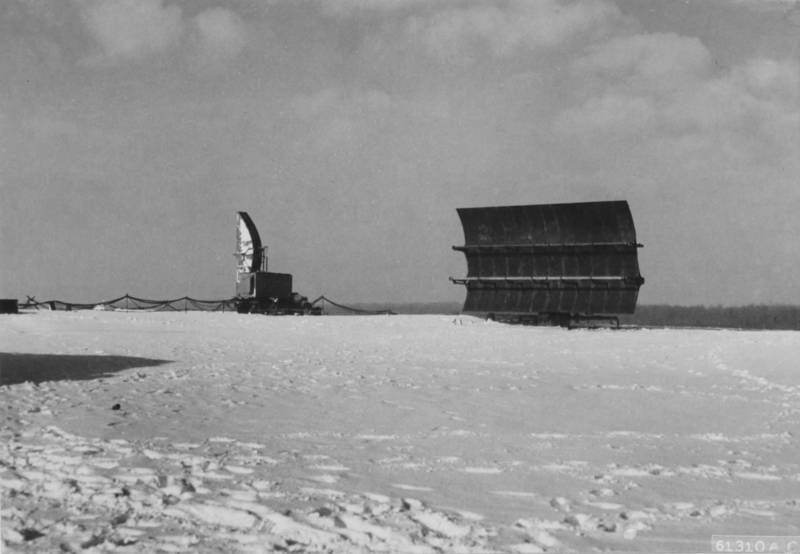 The AN/CPS-1 Microwave Early Warning (MEW) radar deployed in time for D-Day on the south coast of England was a vast improvement over previous ground-based radar networks. Not only did it detect enemy aircraft and Buzz Bombs, but it was extremely effective at guiding Allied combat aircraft to both air and ground targets with a precision that could only have been dreamed of during the Battle of Britain. This example is seen around the time of the Battle of the Bulge in Luxembourg.